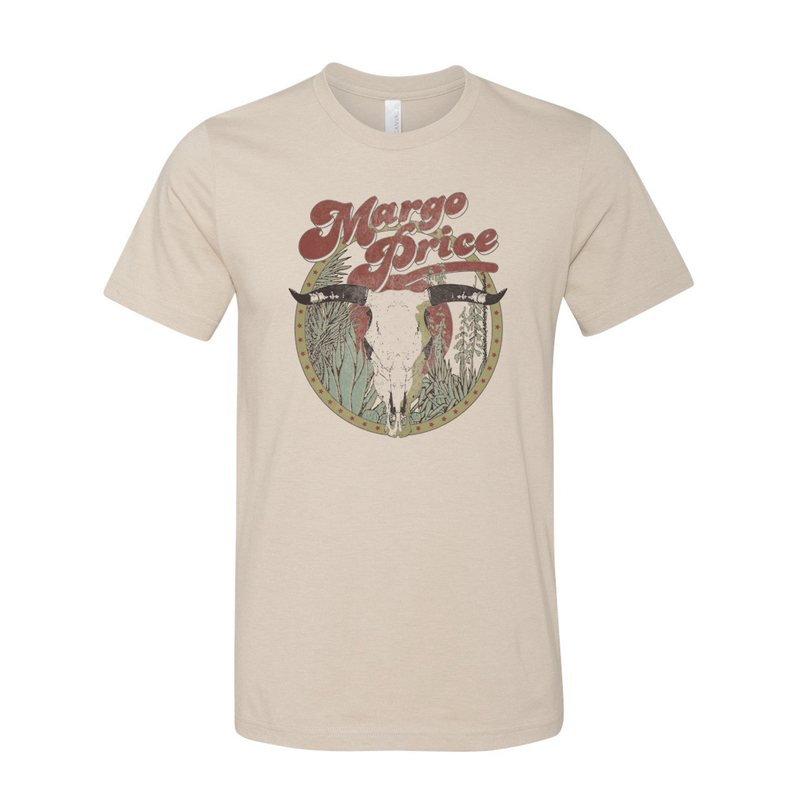 Unisex 100% ringspan cotton tee featuring a distressed desert skull design on front. I had been “um”ing and “ah”ing about whether or not to buy this shirt but I am so glad I did. I got it for my partner as a surprise and she LOVES IT. I don’t think she has taken it off in days. nice shirt! definitely worth the price. It did shrink a bit after the first wash, but my XL still fit the way I like it. Copyright © 2019 All Rights Reserved. 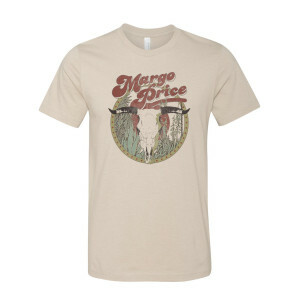 Musictoday II, LLC, is the seller of all Margo Price merchandise and is solely responsible for all aspects of your purchase.